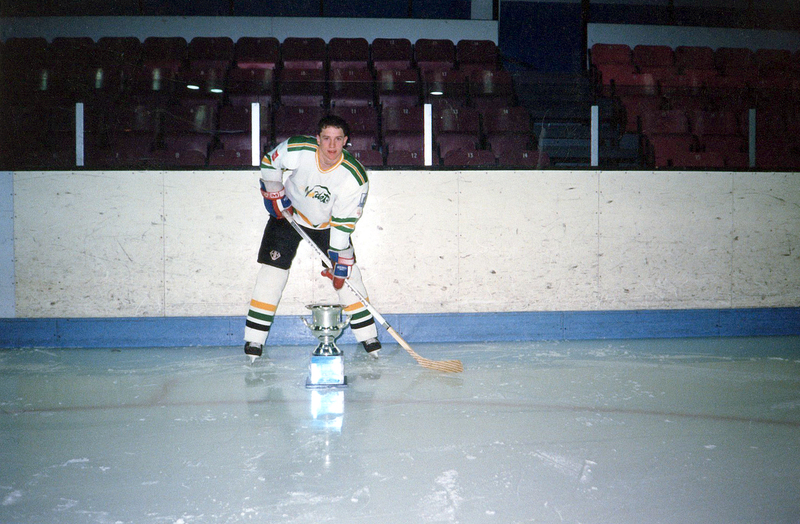 Jimmy Pelletier was born on December 30, 1976 in Baie-Comeau. At the age of 3, he started to practise hockey and baseball, having in mind to follow his two brothers’ example. For seventeen years, the young athlete from the north coast had been practising a high level of competition in a variety of sports. On August 29, after a car accident, he becomes paraplegic and thus loses use of his legs. His passion for sports, his determination and his perseverance will allow Jimmy to approach that event in a positive way. 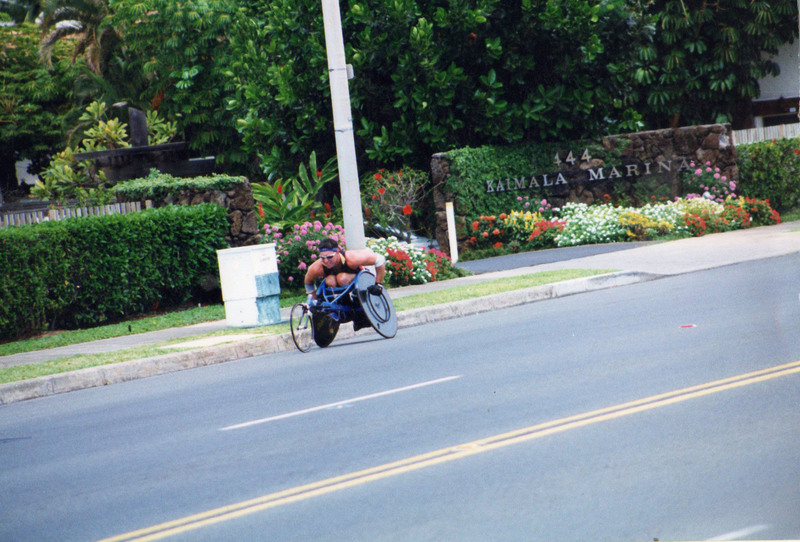 In summer 1997, eight months after his accident, Jimmy starts practising wheelchair athletics. During that summer, he already participates in his first 10 km competition in the Défi Sportif AlterGo. In 1999, proud of the discovery of a new passion, he competes in six marathons, including the famous Boston, Los Angeles and Hawaï events. He will even finish third at the 800 meter event at the American Series in Atlanta. In 2000, Jimmy discovers two new sports : tennis in a wheelchair and handcycling. He decides to spend his free time to teach kids the practice of tennis in a wheelchair. Moreover, his experience and his positivism leads him to devote several hours a week to the cause of kids suffering from cancer for Leucan. Year 2003 marked a new stage in Jimmy’s competitive life. The idea of practising cross-country skiing on sledge gives him back the taste of competition and especially to reconnect with winter sports. In 2004, he was invited to partcipate in the 5 km event in the World Championship in Mont Orford. In 2005, Jimmy makes the decision to get actively invlove in the practice of cross-country skiing on sledge. So, he left for Europe and goes with the canadian team. February 18 is a significant date for Jimmy. At the 5 km event in Insy, in Germany, he establishes a new personal record and also exceeds the canadian standard in that sport. 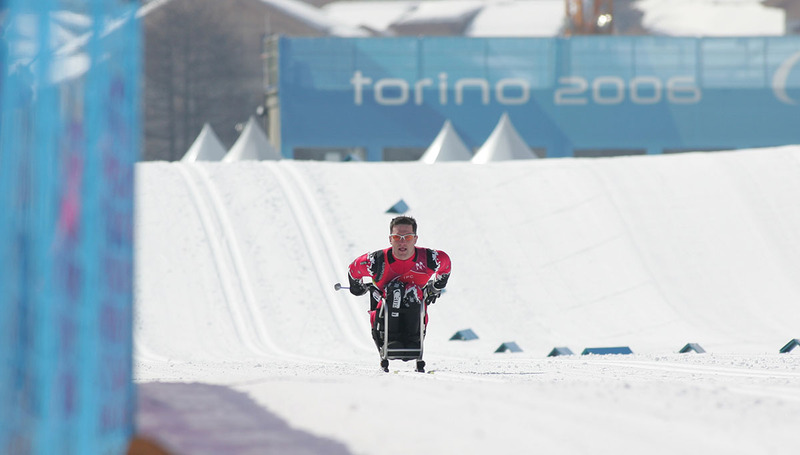 In winter 2006, his love for that sport and his determination allow him to reach his dream : a chance to compete in the Torino 2006 Paralympic Games, in Italy. In Lillehammer, in Norway, he successfully crossed the finishing line in the required time, giving him his pass. In order to be well prepared to these games, he also participates in the Championship of France, in the Gap event where he finishes second. In October 2006, the rehabilitation institute in physical deficiency of Quebec awards to Mr. Jimmy the price of Pride and the title of ambassador IRDPQ. He was honored for all his good deeds and his involvement in the adapted sports. Summer 2007, Jimmy organizes a bicycle ride of 400 km in five days between Beaupré and Baie-Comeau. At the time, this ride which was intended to help Leucan and Handisport organizations is reaping a good amount of $79 000. In the same year, Leucan of Quebec region gives him the Maxime price for his exceptional involvement and his big generosity. Winter 2008, Jimmy realizes a dream that he cherishes; to become a father. A long journey to Vietnam brings him to the one who will become his daughter. The meeting with his little Sara-May will remain engraved in his heart forever. 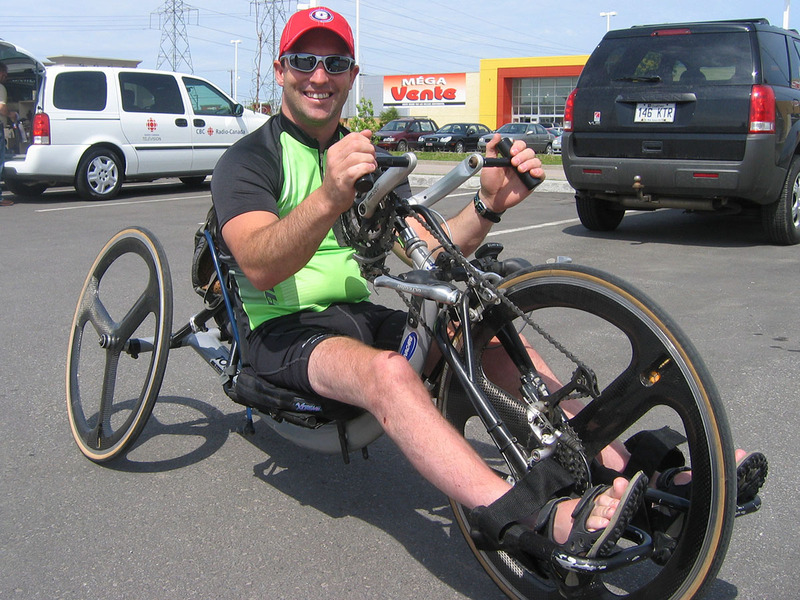 In 2012, Jimmy embarks on a handcycling race. His perseverance gives him access to the first World Cup of Baie-Comeau in Canada. 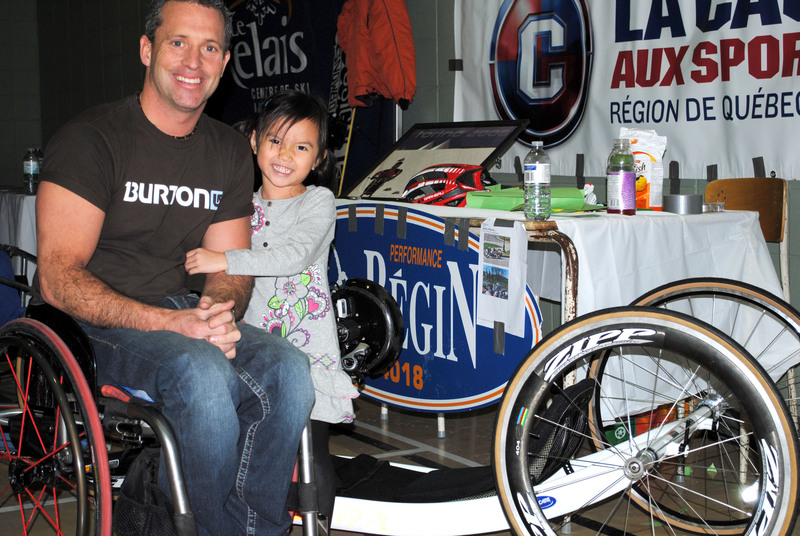 In the spring 2013, during the Défi sportif AlterGo, Jimmy achieves the canadian standard which allows him to become a member of the paracycling canadian team. In June, he finished third to the Canadian Championship allowing him then the access to the World Cup and to the World Championship. The rising of the paralympic athlete classifies him to the twelfth position in the World Championship happening in his native town. 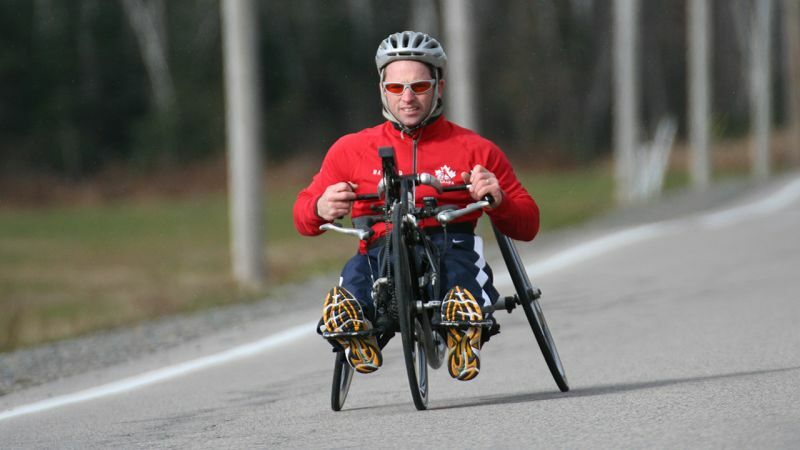 As an old member of the cross-country skiing on sledge and handcycling canadian team, to his competitions in the paralympic games, championships and the world cups, Jimmy becomes a complete athlete. Besides doing sports, Jimmy gets involved in volunteer activities for the Patro Roc-Amadour. For five years, he has been involved in the homework help for kids in need. We give him a recognition for this nice involvement. In April 2014, Jimmy takes a very difficult decision. He decides to put an end to his athlete career and to the dream of participating in the Rio de Janero 2016 Paralympic Games in Brazil to devote himself to his family. He desires deeply to offer to his community and to give a new meaning to his life. From which the birth and the pursuit of La Randonnée Jimmy Pelletier. Since then, the last four editions have made it possible to collect $475 000. A prize is awarded in 2017 during the evening of recognition of the volunteers in leisure and sport. It thus emphasizes his commitment towards people living with a handicap. In May 2018, Jimmy realizes a great achievement. He climbs the highest mountain in Tanzania, in Africa; the Mount Kilimanjaro. 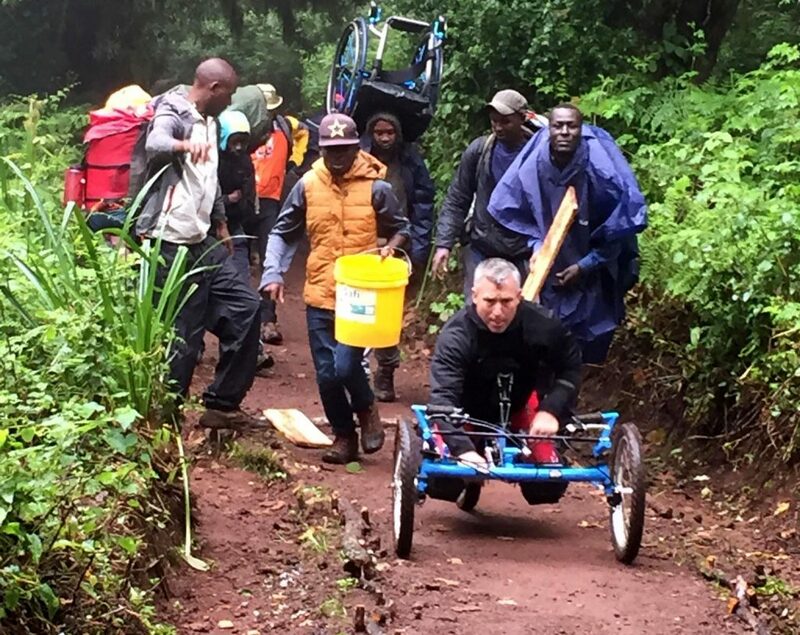 He has become the 2nd person in the world to reach the summit of Kilimanjaro in a wheelchair.